The City of Montreal is launching a wide-reaching plan that includes reducing speed limits with the goal of eliminating pedestrian and cyclist deaths on its roads. The City of Montreal is launching a wide-reaching plan with the goal of eliminating pedestrian and cyclist deaths. While the details still need to be ironed out, a key point is reducing the speed limits on many of the city's main streets to 40 km/h and residential streets to 30 km/h — a measure already in place in several boroughs and de-merged municipalities. "Speed limits must go down," Coun. Éric Alan Caldwell told reporters Monday as the city unveiled its new, three-year Vision Zero plan. "We will give the fine details of that after consulting in the neighbourhoods, with the boroughs and the police service." Caldwell is the city's executive committee member responsible for urban planning. He said reducing speed limits will be one of the city's top priorities, especially in areas where there are a lot of pedestrians and cyclists. Mayor Valérie Plante said it is important "for us to do this step by step" as the city moves as "quick as we can" on reducing speed limits. She said reducing speed limits is just one step the city is taking as it implements 22 "concrete" actions under its new plan to reduce the number of pedestrian and cyclist deaths and injuries — a number, she says, that remains intolerable even if it has gone down in recent years. "For me, security is more than just a buzzword," she said. "It has to be connected to very concrete actions. Too often, we witness collisions that lead to serious injuries, sometimes even death. Collectively we cannot accept that anymore." In 2005, 453 pedestrians and cyclists were seriously injured in vehicle collisions and 54 were killed. The next year, it was even worse, according to statistics published by the city Monday. In recent years, however, the number of serious injuries and deaths are about half that number. Vision Zero refers to the policy goal undertaken by many North American cities, including New York and Toronto, to reduce their number of road deaths and severe injuries to zero. Talks for Montreal's Vision Zero plan began under the Coderre administration. The plan will be most most effective when all of the city's stakeholders and citizens take part and everybody, from the trucking industry on down to the average citizen, is working to make the city safer, Plante said. Stakeholders that have already signed onto the plan include Montreal's public health department, the province's automobile insurance board (SAAQ) and transportation ministries on the provincial and federal levels. More than 30 organizations participated in developing the plan and signed a declaration of engagement. Those signatories, Plante said, also include representatives of the trucking industry. Does reducing speed limits to 30 km/h make Montreal streets safer? The plan includes establishing a team that will analyze the site of each collision, she said. 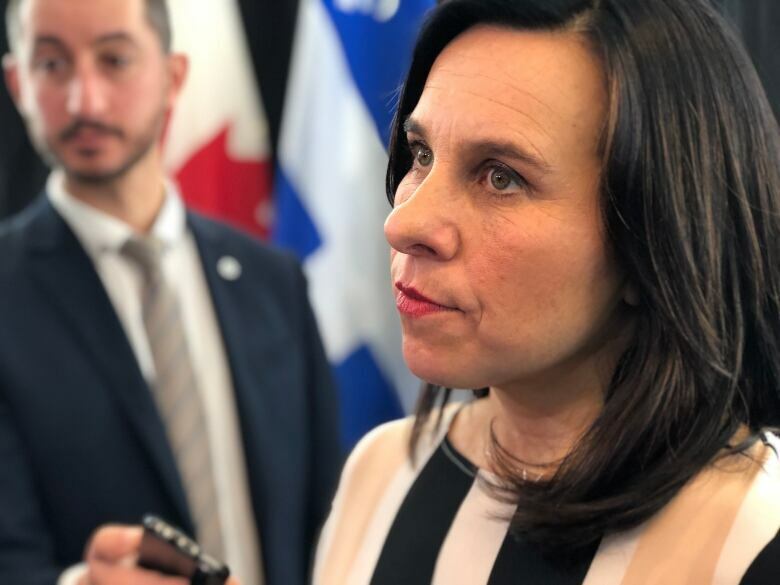 The city will open seven new positions within the urban planning and mobility department to ensure the plan is followed in the coming years as Montreal focuses on improving key areas such as construction zones and street crossings. "In turn, we intend to improve winning conditions for mobility with better planning of roads, sidewalks and the cycling network, especially around schools," she said. From now on, she said the Vision Zero plan will serve as a guide to each of the city's mobility and development projects in the future but, she added, "it is not a quick fix." With improved collaboration across the board, the overall mentality of road users will change for the better, making the streets safer for all, the mayor writes a statement affixed to the 34-page booklet outlining the plan. "This open and evolving approach that we are embarking on today will begin with our efforts to bring about a paradigm shift in road safety and mobility choices," she writes. "I invite all Montreal citizens to join the process by also signing the declaration of commitment of the Montreal community." Why are pedestrian deaths on the rise in Montreal?